Hello Friends! I hope that you are all having a great week so far and are enjoying these warm summer days. Summer is such a favorite time for me, it means spending extra time with friends and family. We always seem to have more get togethers in the summer than any other season. 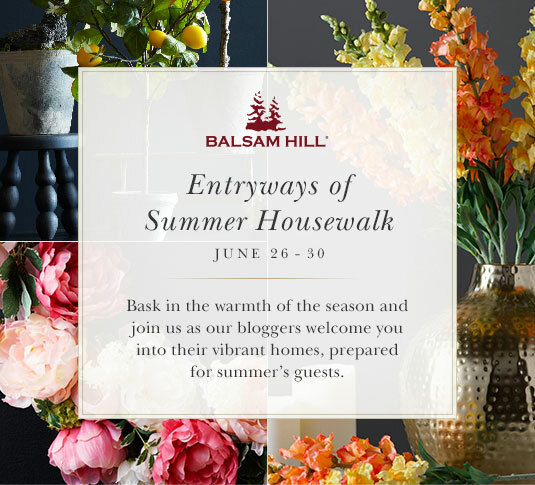 I have had the pleasure of teaming up with Balsam Hill, alongside a lovely group of bloggers to share how we have all spruced up our entryways to welcome summer guest. Balsam Hill carries the most wonderful faux greenery and florals and I am so excited to get to share some of my favorites with you. Our 1924 cottage home doesn't have much of an entryway and so I had to create one. By placing a bookshelf and some hooks next to the front door, this area now functions well for my family's daily life. Having a place to unload when you first walk into the home is key. 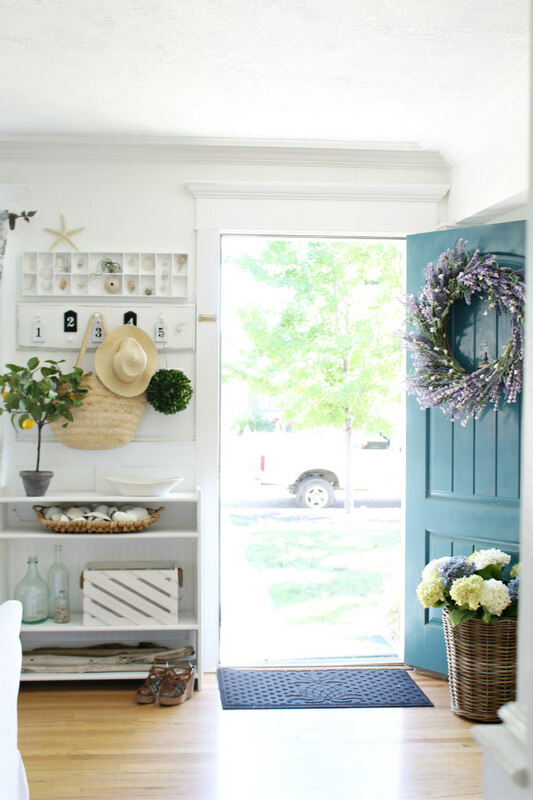 As important as it is to have a functioning entryway, I think that it is equally important to have it be welcoming. The entryway is the first impression a guest gets when walking into your home and so I always want our entryway to feel warm and inviting. 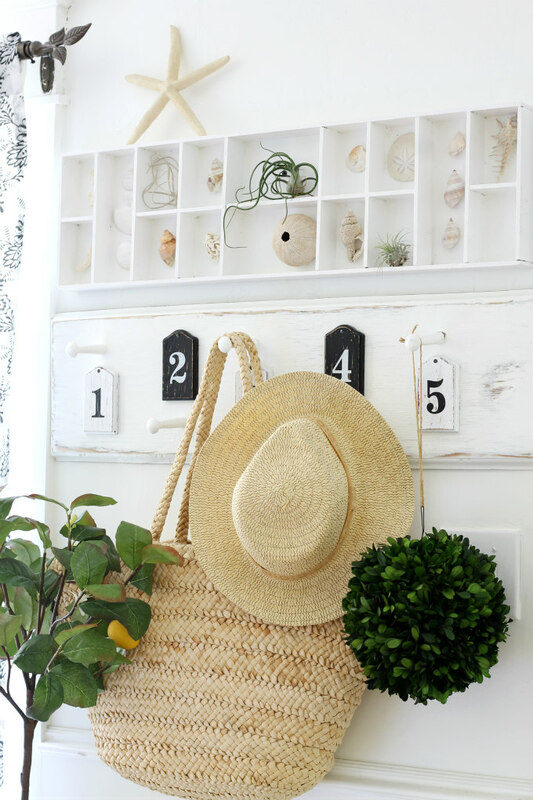 Today, I want to share with you some of my tips for creating a welcoming summer entryway. There is nothing more welcoming than a wreath on the front door. A wreath is a way to celebrate the seasons all year long. Wreaths also bring a bit of charm to the exterior of a home. This beautiful Provencal Lavender Wreath has been hanging on our door since spring, and everyone who has come to our home since has commented on how pretty it is. A welcome mat is named "welcome" for a reason. It welcomes you to the home. 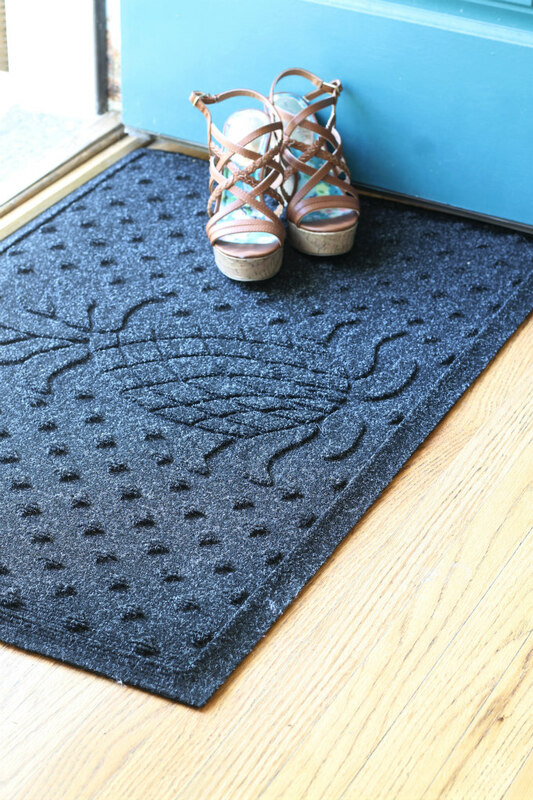 Not only is this Pineapple Stormguard Mat nice for wiping your shoes, but if you didn't know, the pineapple is a symbol of warmth and hospitality and it extends a joyful welcome to all who arrive on your doorstep. 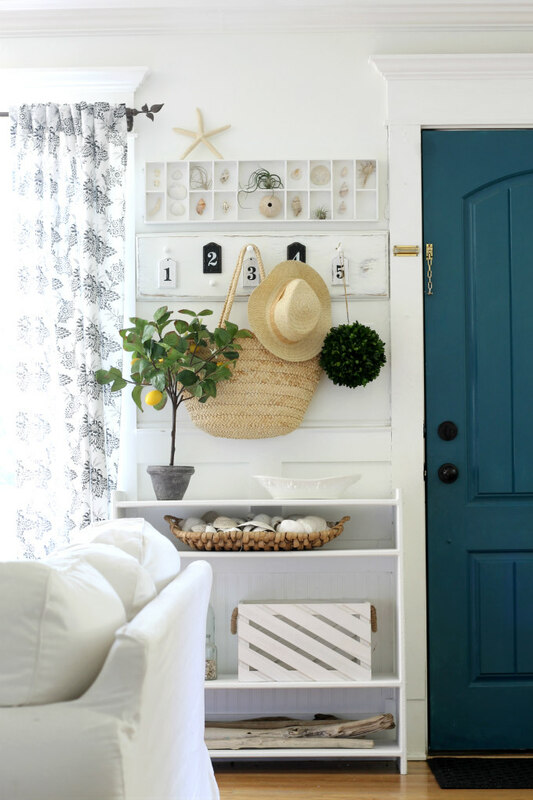 I think adding pops of color to the entryway is an easy way to bring happiness into your home. Perhaps one of the reasons why I have painted our door in a bright blue (Valspar/Night Scape). I also think vibrant colors are a big part of what summer is all about. 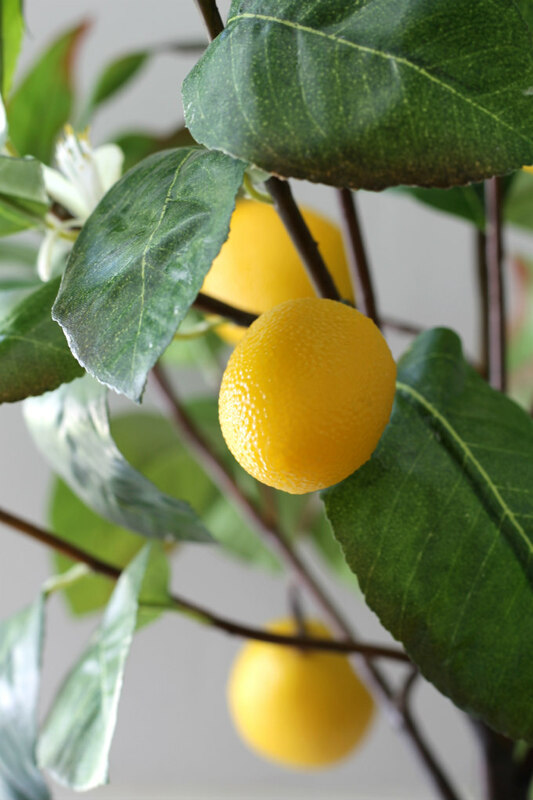 How fun is this Meyer Lemon Tree? These little yellow lemons are just a ray of sunshine! This tree is artificial but looks so lifelike, even down to its dainty little white flowers. Flowers bring beauty to any environment. 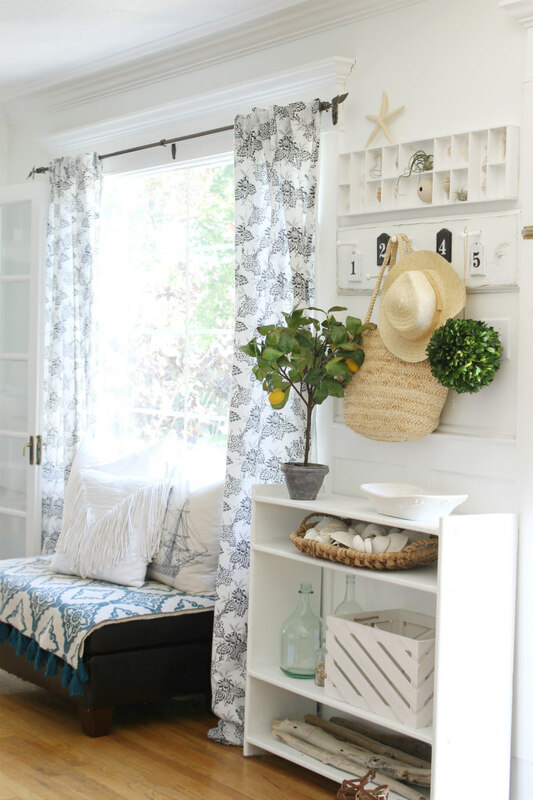 Placing florals in the entryway adds a pretty touch. One of my favorite flowers are hydrangeas. Whenever we go to the coast, I see them everywhere. In fact, I'm convince that hydrangeas grow wild there. However, I just can't seem to grow them here in the desert heat of Idaho. I've tried several times with no luck. These Hydrangea Flower Stems are the perfect solutions for me. They look So real with their snowball shape and dainty little flowers. These Hydrangea stems come in White, Blue, and Green. I love them in all of the colors so I got a bundle of each. 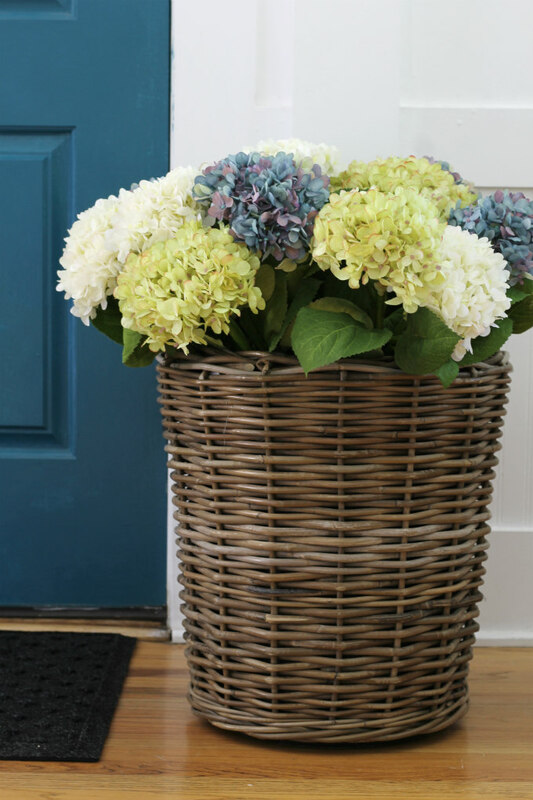 I also picked out this large Outdoor Rattan Basket Planter to put the hydrangeas in. It turned out to be the perfect size for the stems. 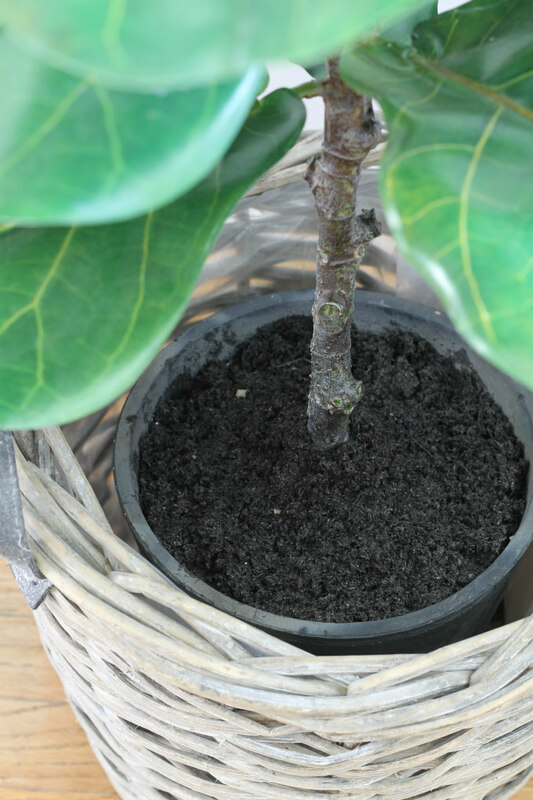 What's neat about this basket is that it has a inner plastic pot so it could be used for live plants as well. I think everyone already knows that plants bring life to a space like nothing else. 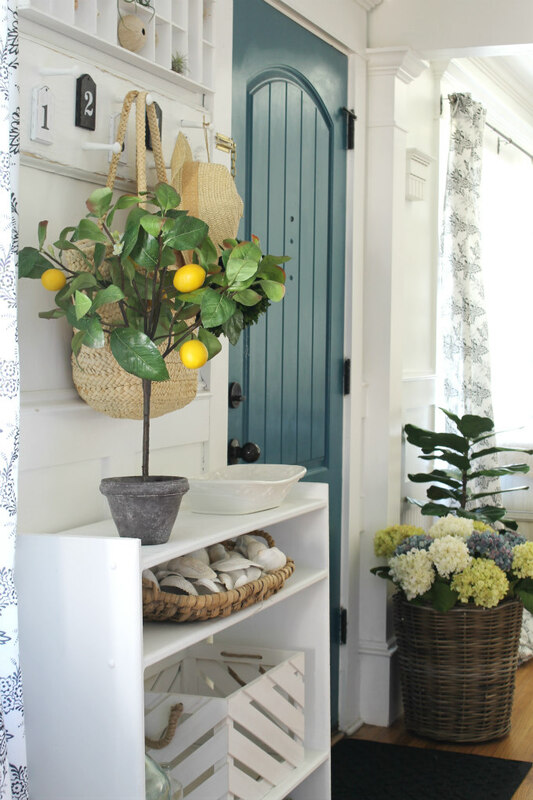 Placing a few plants here and there is the perfect way to liven up an entryway. Don't have a green thumb? 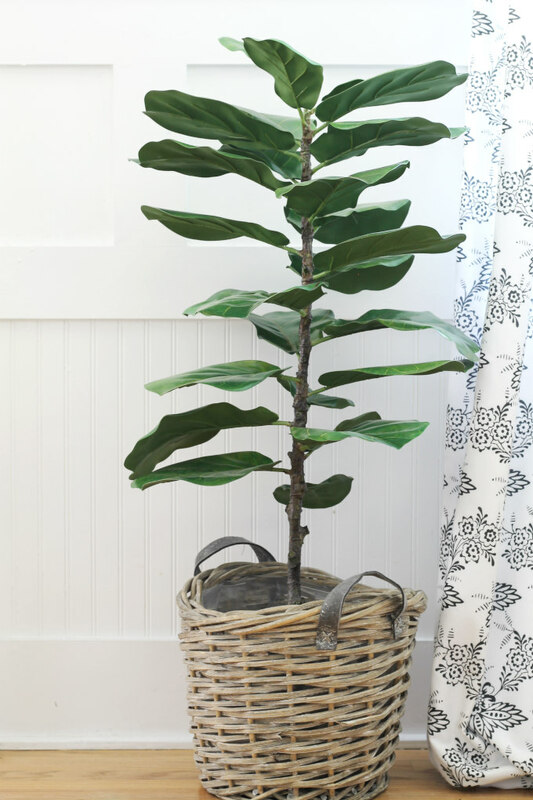 That's okay, because this artificial Tabletop Fiddle Leaf Fig Potted Tree looks and feels like the real deal. 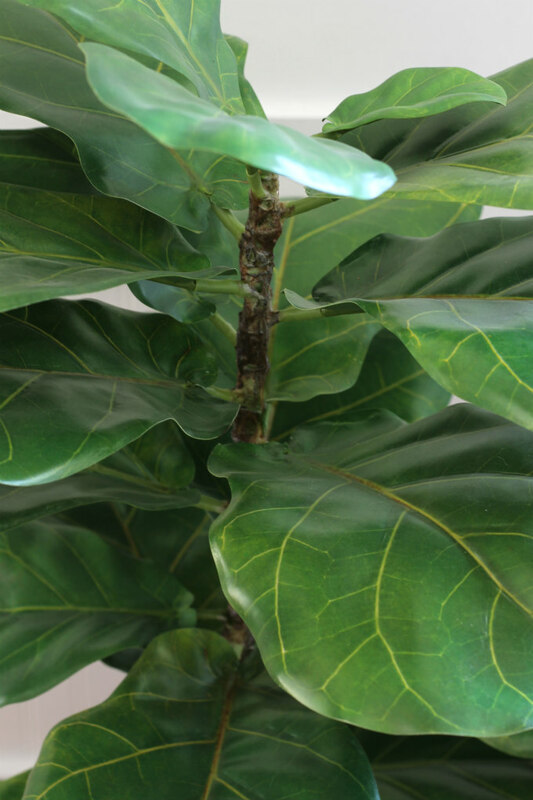 Fiddle trees are so popular in designer homes these days, but they are not the easiest to care for. I was blown away when I saw this tree in person, it was hand crafted to resemble a real fiddle tree. Even the dirt looks real! When guest arrive, most of the time they will be caring something in their hands. Having a place where guest can set down their things is important in helping them feel invited. Wall hooks are perfect for hanging up jackets, bags, and hats, whereas a console is there to set things down, like keys, phone, etc. My Numbered Coat Hook recently got painted from light blue to white. I painted it because I wanted it to blend in better with the new white walls. 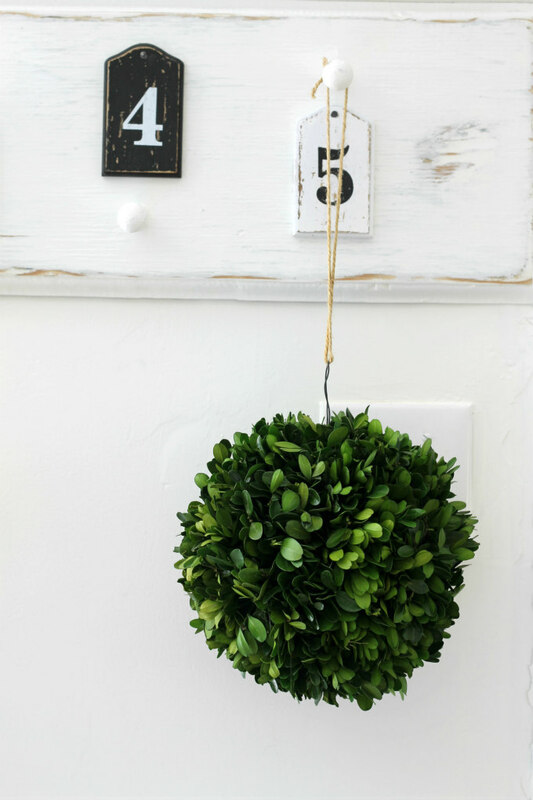 Hanging on my coat hook is this fun boxwood wreath ball. 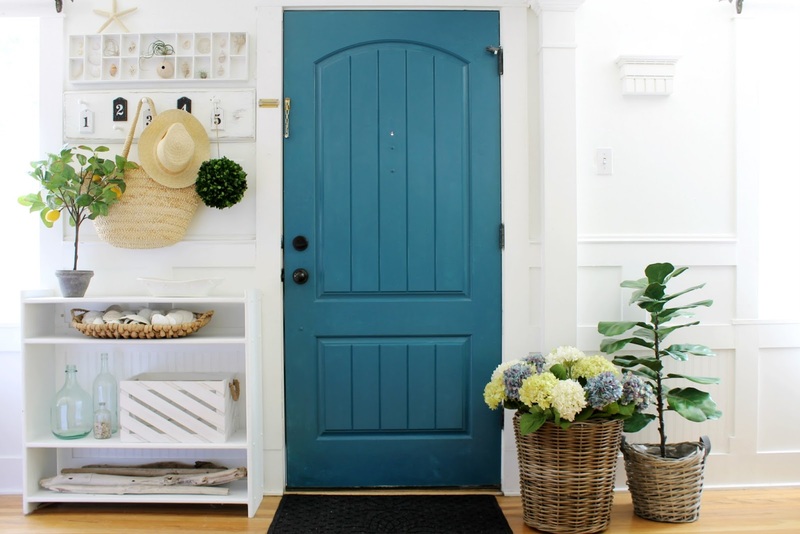 Once you have all of the basics in place for a summer entryway, it's time to fill up the space with personalized decor. 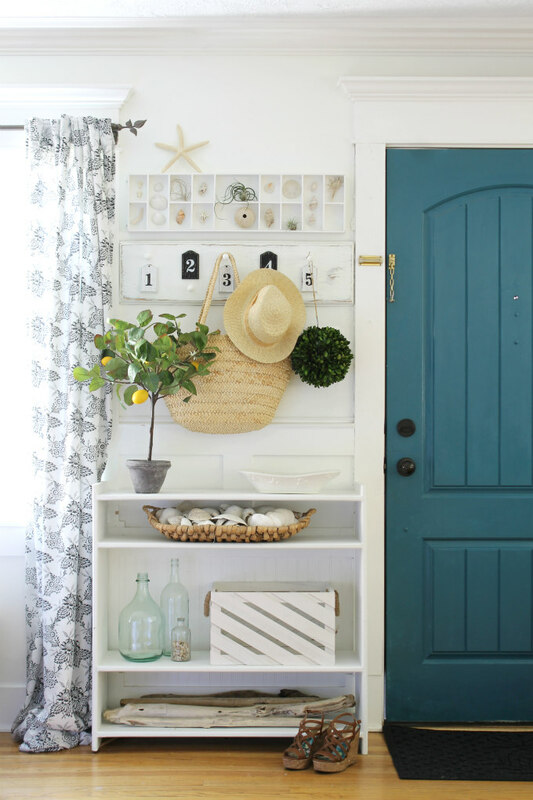 Your entryway should tell a brief story about who lives in your home and what you are all about. Because my family and I have a big love for the sea, I have showcased some of our favorite beach treasures like seashells and driftwood. What are some things you and your family love? 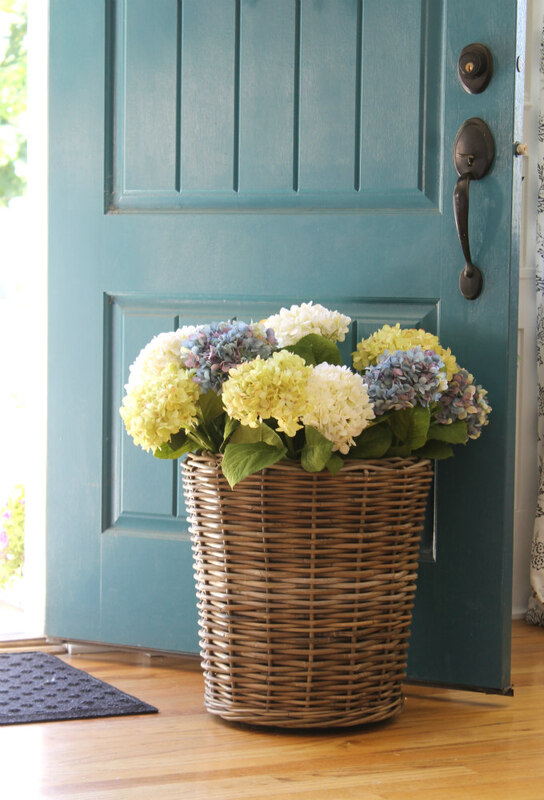 By following my simple tips, all of your summer guest should feel welcomed when entering your home. 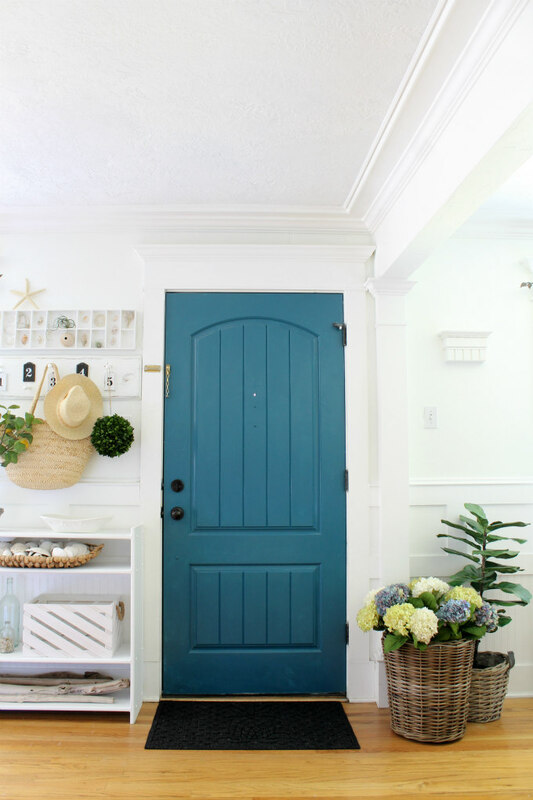 Be sure to follow along on the housewalk to see all of the other blogger's summer entryways. On Friday, June 30th Balsam Hill will be having a Flash Giveaway on their Facebook page for a chance to win something special. 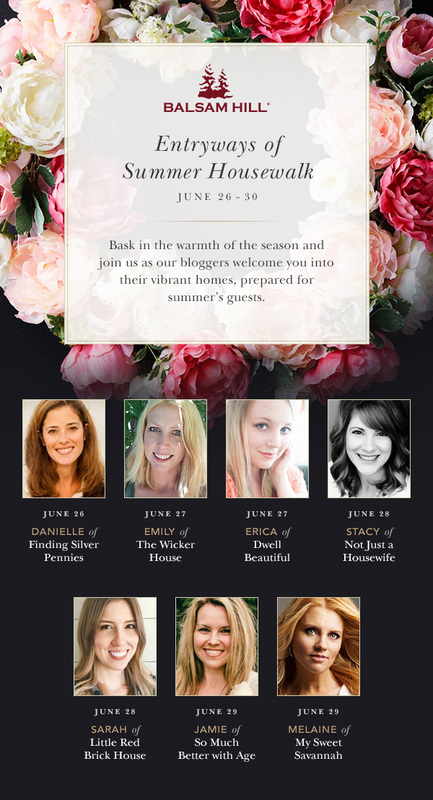 So be sure you are following Balsam Hill on Facebook so you don't miss out! Your entry looks amazing! 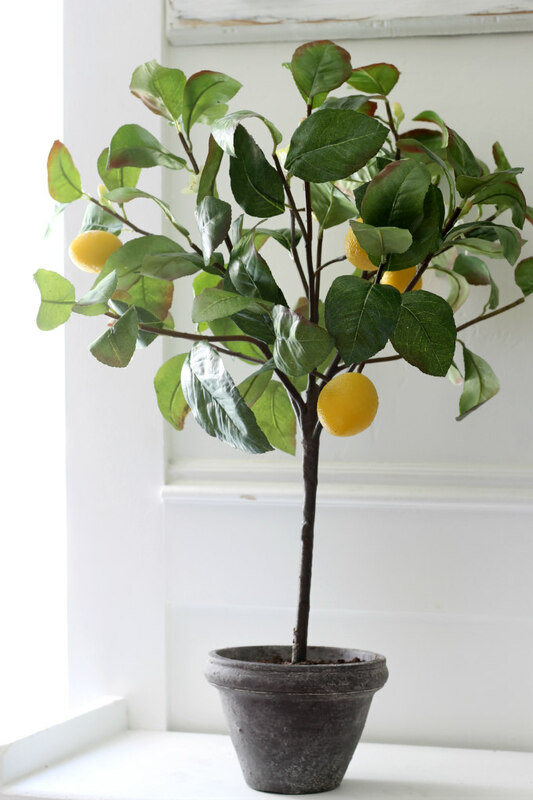 I LOVE that little meyer lemon tree and also love the fig. I can't believe they are faux. 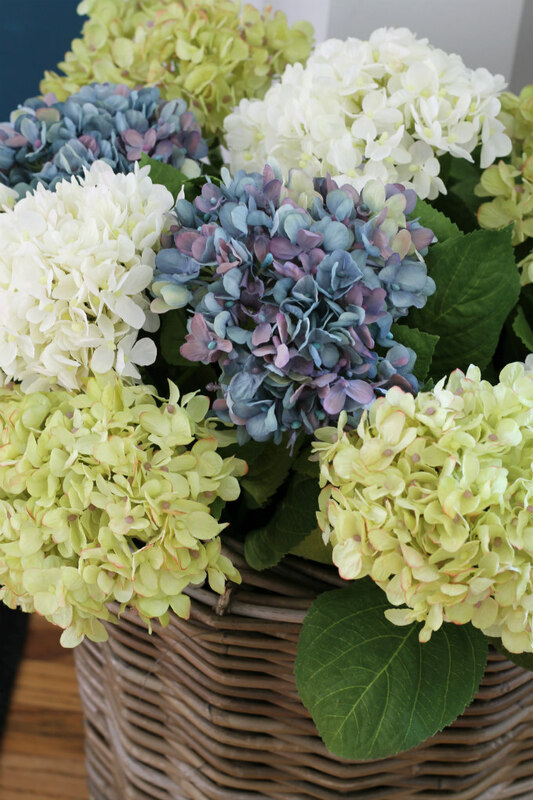 The hydrangeas also look gorgeous in the basket! Your entry is SO PRETTY! I love all the little details. You chose some beautiful things and it all came together beautifully.